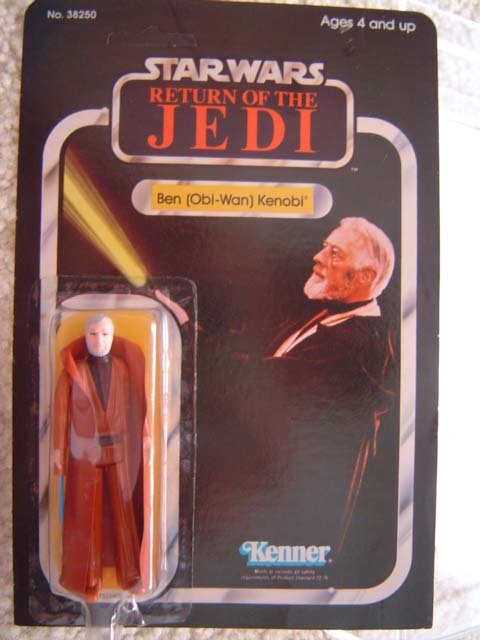 The carded Ben Kenobi shown above is considered a mock-up. Although the figure is production quality, the bubble is hand applied with double sided tape. The bubble and figure are also affixed to a proof card as evidenced by features like the square corners. Mock-ups of this nature were often created for industry shows or for internal presentations. 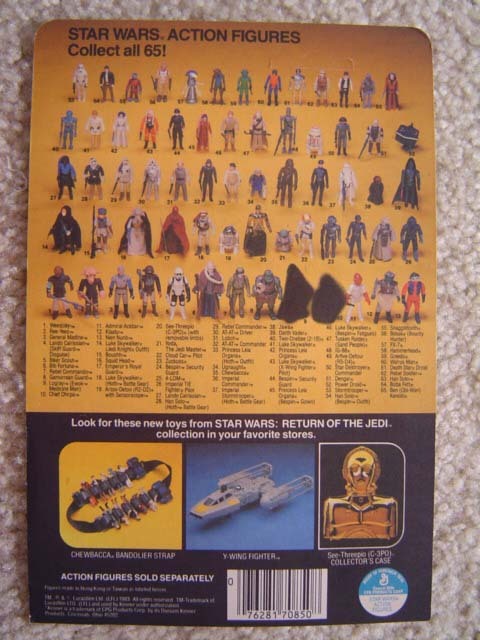 The back photo reveals proof card as a ROT65A version.